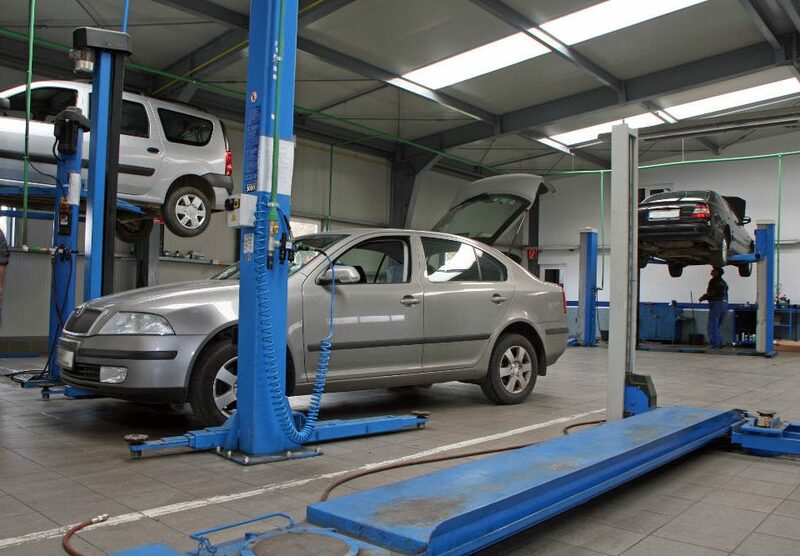 The warm weather of the summer season can have a harsh impact on your vehicle if it’s not maintained properly. 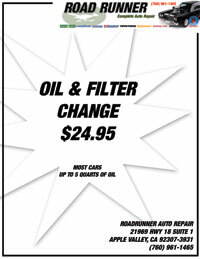 Before the weather warms up, let the service technicians at Road Runner Auto Care in Apple Valley check the fluids and other components that can quickly get depleted. The coolant system is perhaps the most important one to maintain in the summer. If the radiator, cooling fan, and thermostat don’t work properly, then the vehicle will likely overheat. If the vehicle overheats, then the motor can be damaged, causing the vehicle not to run properly or not to run at all. 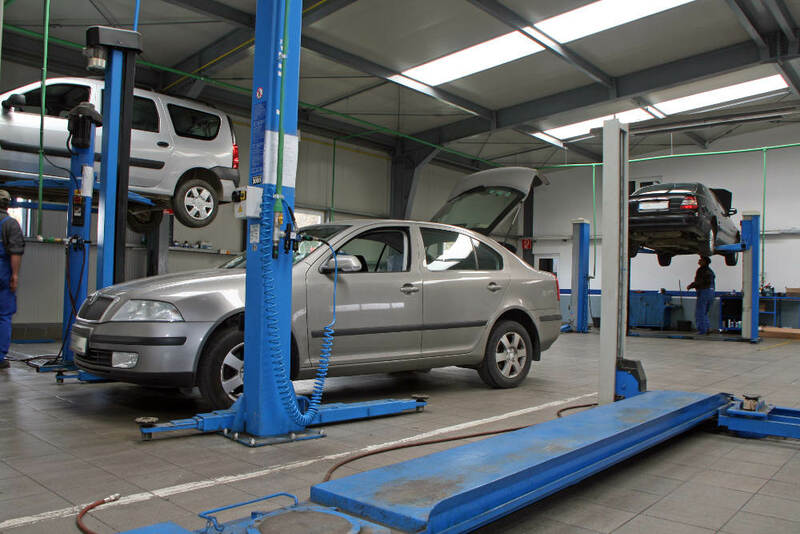 Road Runner Auto Care in Apple Valley can check the coolant levels to make sure they are where they should be and perform a pressure test to determine if there are any leaks. Road Runner Auto Care can also examine the fan to ensure that it comes on when the vehicle reaches a certain temperature and to ensure that there isn’t anything preventing the fan from turning. Although it might not seem like they would be impacted by warmer temperatures, the belts on the car can dry out and not function like they should. The serpentine belt is the most important because it connects the alternator, fan and other parts that are essential to keep the car running. If you hear the serpentine belt squealing, there is a possibility that some kind of fluid is on it, such as coolant or power steering fluid. Road Runner Auto Care in Apple Valley can examine the belt to see if it’s loose or if there is fluid anywhere on it, further checking to see where the fluid is coming from if there is a leak. If you’re on a schedule for changing your oil, then the beginning of the summer season is a good time to change it, using a heavier weight so that the oil doesn’t get too thin while the vehicle is running. Warm Weather Comes The High Desert, What Does Your Vehicle Need?